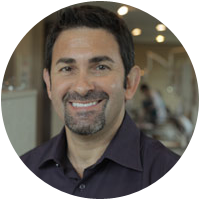 Dr. Cole is one of the few dentists in Central Texas to provide Fotona Laser Dentistry. After extensive training in both dental and cosmetic procedures, Dr. Cole offers and performs numerous procedures using the only laser on the market with both Nd-YAG and Er-YAG capabilities – the Lightwalker®. This laser allows for both hard tissue (enamel) and soft tissue (gums, palate, cheeks, tongue, lips, and skin) applications which benefits his patients in many ways. The LightWalker® Dental Laser is one of the least invasive, most effective advances in dental technology. Although lasers have been used safely and successfully in dentistry for many years, this laser stands apart from all others due to its intricate and refined instrumentation. Dr. Cole offers many dental laser procedures ranging from small fillings, gum re-contouring, frenectomies, crown and veneer removals and teeth whitening – to name a few. In many cases, the extreme precise and gentle action of the laser eliminates the need for anesthesia, reducing anxiety and discomfort, making a more relaxing experience for our patients while increasing the quality of treatment. Although the laser does not replace the drill in every case, for most patients it provides painless dentistry, advancing the healing process and providing a bacteriocidal effect in the process. In fact, cavitations – also called osteonecrosis or NICO – can only be properly cleaned using a laser. Surgical cleaning of cavitations with a drill (even fully sterilized) will not leave the site clean after stirring up all the bacteria…only a laser can achieve a completely clean site. Lightwalker® is highly effective at soft tissue treatments such as removal of lesions like cold sores or canker sores. If a biopsy is needed, a laser can help in getting a quick tissue sample. Even TMD (also called TMJ) has a positive response to the laser which helps to reduce inflammation and discomfort in the joint area. This laser also has a very effective biostimulation setting – allowing us to treat maladies like dry mouth (decreased salivation), TMD, and certain skin lesions/ulcers. In addition to the myriad of dental uses, many other amazing skin and face applications that could previously only be done with Botox and dermal fillers are achievable. Smoothlase® is a giant leap forward in facial rejuvenation. This is a non-surgical and non-invasive procedure that uses a laser to tighten the collagen in your skin. It will smooth and improve skin tone by bringing back elasticity, lessening wrinkles and deep folds, giving you a more youthful feel and appearance. Unlike botox, which paralyzes the nerves innervating the parts of your face that are wrinkled, Smoothlase® causes your skin to create new collagen, giving your face tighter skin it once had. Liplase® is a quick and easy way to enhance the size and shape of your lips without injections or bruising. Unlike dermal fillers or silicone injections, the laser safely tightens, smooths and plumps your lips by stimulating your own natural production of collagen. Necklase® is laser therapy of the skin below the jaw. This treatment is often completed in conjunction with Smoothlase® for complete coverage. This will tighten the skin of the neck to reduce wrinkles, improve elasticity, and diminish sagging neck skin. Smoothlase®, Necklase®, and Liplase® treatments are all completed intra-orally without chemicals, anesthetics, or injections. The therapies are non-invasive and require virtually no recovery time! One of the procedures Dr. Cole is most excited to offer is Nightlase®. This procedure, which uses NO scalpel and NO anesthesia will oftentimes eliminate the need for CPAP machines and anti-snore appliances. The laser works by creating a tightening effect in the pharyngeal (throat area) mucosa caused by the initial denaturization of the throat collagen, followed by creation of new collagen which tightens the throat muscles, creating more airway space. This painless procedure reduces the effects of sleep apnea, and in most cases eliminates snoring. Our goal is to provide the highest level of quality care and comfort for our patients. The Lightwalker® laser allows us to do so with the ultimate level of perfection and care. Contact our office in Austin to schedule your laser appointment.